With three venues in the centre of Barcelona, the group offers a quality menu focused on dishes that are based on rice and produce from local craftspeople and suppliers, which is known as km0 in Spain. Cullera de Boix’ history begins in 2001 with Jordi Gabarrell, who decides to open the first group restaurant on Ronda de Sant Pere in Barcelona (Urquinaona). The founder and group owner wanted to start a restaurant inspired by the tradition of the old Catalan eateries, i.e. the “fondas” offering homemade food, with a rice dish on every daily menu, accompanied by a good wine or beer and coffee. Fifteen years later, this idea has been a success, and Cullera de Boix’ brand has spread across the centre of Barcelona with the opening of two more venues located on Rambla de Catalunya and on Hospital Street, next to La Rambla. 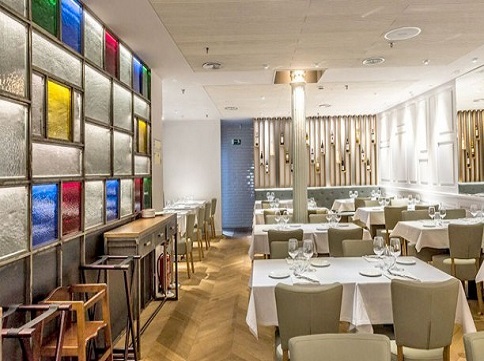 The new Cullera de Boix – Rambla de Catalunya, which opened a year ago, continues the tradition which started in the other venues and offers Mediterranean cuisine with rice dishes as the backbone of the a-la-carte options and the daily menu. This new venue reflects the experience of the restaurant group serving rice for almost two decades and presents it in a modern and sophisticated place next to Plaça de Catalunya in Barcelona. Here customers have the feeling of being at home, with its traditional dishes and recipes, accompanied by the innovative touch of chef Xavier Matarrodona. It features wide and modern spaces, which are ideal for celebrations, with a fresh and friendly atmosphere: two large areas to enjoy rice and Barcelona’s cuisine, with an entrance and an ideal terrace to sample breakfast, vermouth or a glass of wine accompanied by a varied and tasty starter (for nibbling). The first group seed was planted with the opening of Cullera de Boix – Urquinaona on the Ronda de Sant Pere in Barcelona. At present, they remain faithful to their origins and provide customers with traditional rice dishes and home-cooking in the centre of Barcelona. The venue boasts an outdoor terrace and is also very close to Plaça de Catalunya, between Ciutat Vella and Barcelona’s Eixample district. It features a private space for group meals and celebrations. And, if you cross Ciutat Vella and La Rambla, you get to Cullera – Rambla, located between the emblematic Boqueria market and the Gran Teatro del Liceo. It is a cosy and welcoming space that recovers the atmosphere of old cafes on the Rambla. 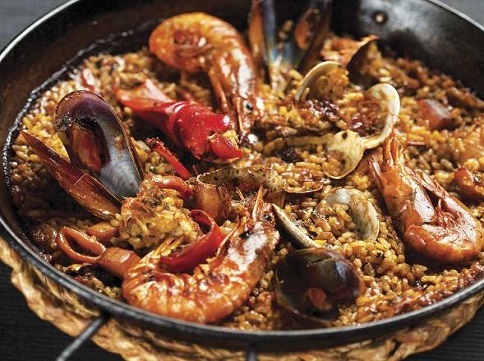 If you would like to eat a paella next to the Rambla in Barcelona, make a reservation at the Cullera de Boix restaurant.